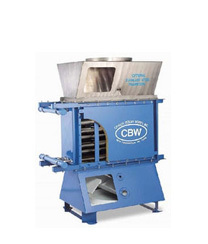 Typical uses/applications: Used to recover energy from exhaust flue of boilers and other combustion equipment. Typically rated for 450 PSI and 600°F. Custom units with higher ratings available. Variety of exotic material construction to meet all applications. Want to hear more about the latest boiler economizer technology and explore the best option for your organization? Contact us to set up a no-obligation Lunch and Learn. A dual section economizer can increase the typical economizer recovery of 3-6% in annual fuel cost to as much as 20% depending on application.